Jeep Forward Control: The Little Dipper? 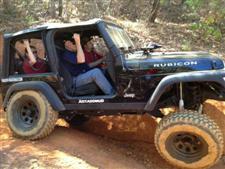 Jeep Forward Control... or Forward Roll? Why did the Jeep Forward Control trucks stand out from the crowd so much? 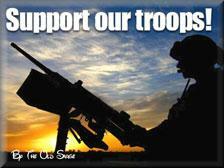 Who used them? Who wanted these odd looking ducks..er!..trucks? During the Kaiser Jeep era the Forward Control Jeep models were born. 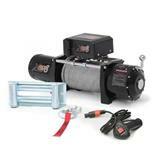 Kaiser found a way to build a versatile little work pickup using many existing parts...with minimal costs to produce. 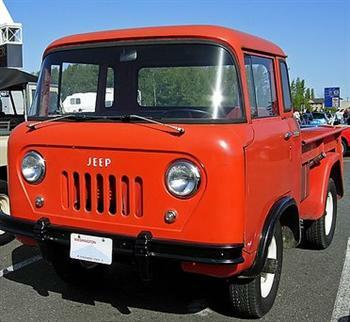 They were unusual little trucks built primarily on the frame and running gear of the CJ5 (FC-150) with the F-head 134ci 4-cylinder engine, and a variation of the Willys Wagon (FC-170) with the 226ci L-head 6-cylinder engine in these two base models. 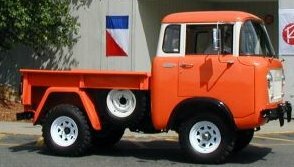 The FC-150 was the shorter of the two perched on the CJ5's 81 inch wheelbase, while the FC-170 sat on a 103.5 inch wheelbase similar to the Willys Wagons, but with a wider 63" track. The components of both the CJ5 and the Willys Wagon were essentially the same on the FC's including engines, transmissions, transfer cases and suspensions. Four-Wheel Drive was standard as well. Later, another engine option included a 170ci OHV diesel. The only major differences were the cab, interior and bed selections. The cab could be obtained in various states of completion for personal customization by the owner/operator. Interior options ranged from basic functional need to relatively user friendly comfort. 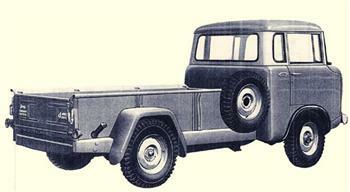 Both Jeep Forward Control models were offered with a pickup bed, flat bed, stake bed or just cab and chassis. Other options available during the life of the Forward Control were a utility bed, dump bed and fifth wheel for towing trailers. 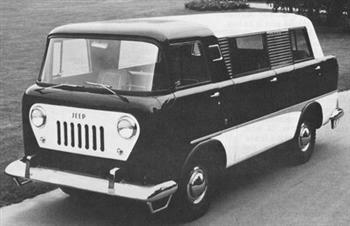 The Jeep Forward Control (especially the FC-150) had some unusual quirks as well. With the bulk of its weight forward, and a short wheelbase the little trucks were often prone to flipping end-over-end especially when braking on a steep downhill slope...with a light load or empty bed. Since they were mostly used by contractors, developers, farmers, ranchers, builders and related vocations, the Jeep's safety was very much a concern, especially in the hands of the inexperienced or unaware. 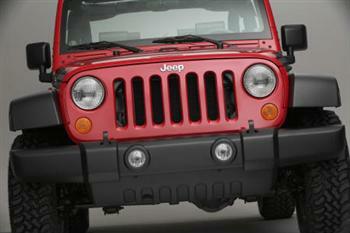 Click here to compare the Jeep Forward Control with Jeep Safety issues in general. The narrow track (width of the axles) also proved problematic to the early FC-150 Jeep's safety. With the high ground clearance and short wheelbase the Forward Control Jeeps were also prone to roll-overs, especially when carrying heavy or awkward cargo. 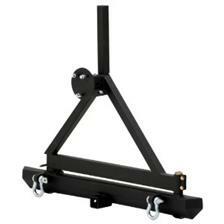 Wider axles were eventually added to increase safety on the FC-150, and were already standard on the FC-170. Nevertheless, the little pickup/haulers reached a niche of buyers who needed a tough, rugged, go-anywhere work vehicle that was not impaired by inclement weather or deteriorated road conditions. 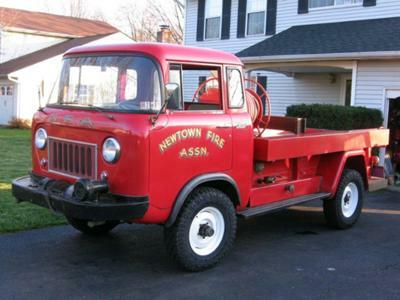 The Jeep Forward Controls have been used for many utility purposes...even as passenger vans and firetrucks. 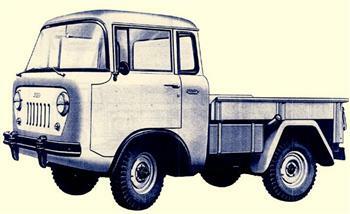 A heavy-duty FC-170 called the "DRW" sported dual rear wheels and heavy duty everything. Less than 2000 DRW's were produced making them quite rare today. Also, since Jeep still maintained military contracts, the Forward Control Jeeps were converted for various military needs. 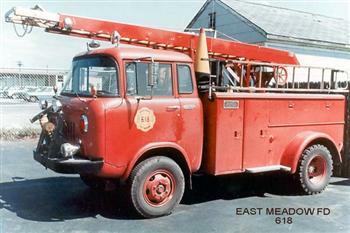 Versions were built as cargo pickups (M-676), crew cab pickups (M-677), carryalls (M-678), and ambulances (M-679). They were built and sold from 1957 through 1965 (and possibly a few beyond). 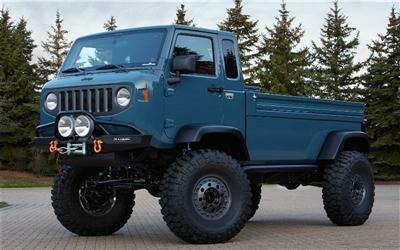 Although not sold in huge numbers the Jeep FC's got the attention of the larger automakers of the time who began producing forward control vehicles of their own. 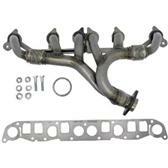 Mechanical parts are relatively easy to obtain today due to the CJ and Willys Wagon platform kinship, but body and glass parts are not. There are groups devoted to these unique cab-over vehicles...and restored or modernized versions can look really sharp! So...if you can keep them from doing somersaults while going down steep hills...the Forward Control is a pretty cool Jeep. 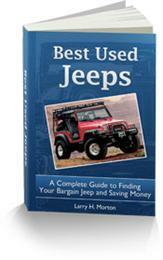 Jeep Models: A Chronological History Page!